Green Impact for Health is nominated for an award! The Royal College of General Practitioners (RCGP) have been shortlisted for a Sustainable Health and Care Award in the category of Our People for their bespoke Green Impact for Health programme. The Green Impact for Health toolkit and awards scheme aims to address the sustainable development goals in GP services. It is a national change and engagement programme, helping people to understand sustainability and social responsibility, show them what they can do to make a difference, and supports them in achieving these actions. It has been developed over the last ten years, using social change theory and our expertise at NUS to produce a model that is bespoke to the primary care environment. Funded by RCGP, the programme is the only free, evidence-based, easy-to-use, action plan that the UK’s 10,000 general practices can use to become a more sustainable health and social care system. In 2017/18 70 practices registered for the programme, with 16 achieving awards. This year we engaged over 820 staff members who completed 542 actions which saved at least 37,700kg of carbon. 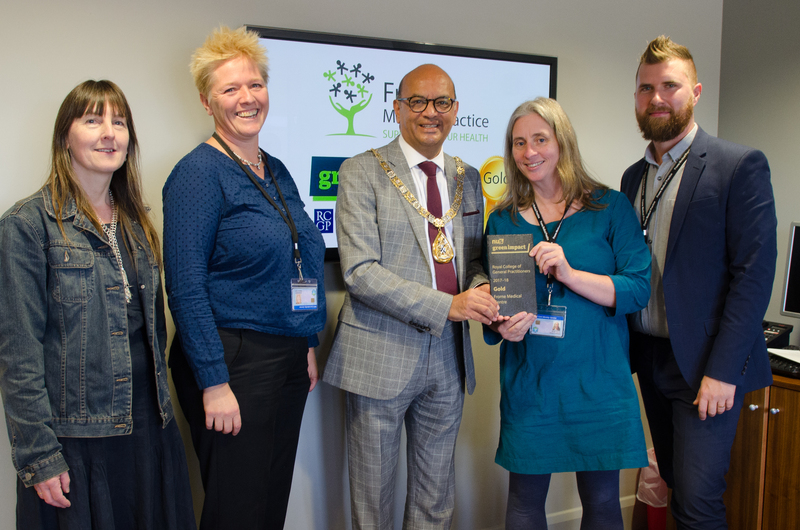 “The Green Impact Award has been a great vehicle to help make some really positive changes in the practice, alongside highlighting and supporting the work we had already committed to through our Health Connectors project and Frome Model of Enhanced Primary Care. You can read more about our Green Impact for Health work in the British Medicial Journal where former RCGP President, Terry Kemple, discusses the programme. The Sustainable Health and Care awards winners will be announced on Wednesday 21st November 2018 and we wish everyone who is nominated every success!